The enchanting hills of Kipkorgot, Eldoret welcomed guests from afar and near to a special dedication and thanksgiving ceremony for Living Room Care Centre Eldoret. The colorful event was held on the gardens of the state of the art facility on 1st February 2019. Built on an extensive land full of exotic, mature trees, the centre will not only provide hospice and palliative care services but will also open its doors to the community and to the people Kenya who will require any other form of medical care. 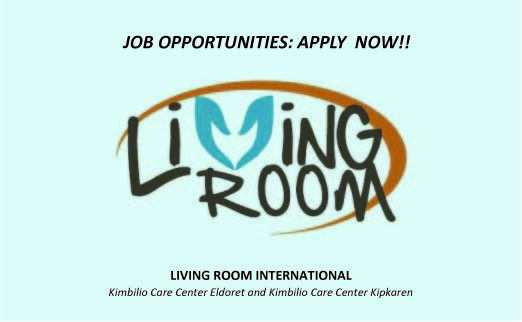 Living Room International is a Christian based organization whose vision is to create a community of compassion that honors life and offers hope by providing dignity and quality of life to people in Kenya affected by life-threatening illnesses through holistic care and education. The event was graced by an array of guests which included a team from Little Country Church (USA), Christian Assembly Church (USA), investors from the United States as well as from Uasin Gishu County and the County Government officials headed by the Governor His Excellence Jackson Mandago. Other guests were teams from Kenya Hospices and Palliative Care Association, Moi Teaching and Referral Hospital, Webuye Teaching and Referral Hospital among others. 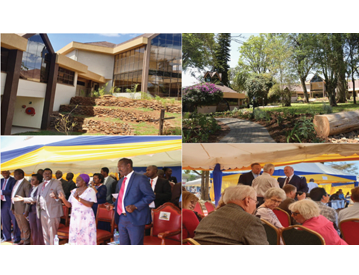 Ministers of the gospel from the churches in the United States and Kenya, The Kimbilio Hospice Board, leaders from the County Government of Uasin Gishu and the Director of KEHPCA were given an opportunity to address the guests among other speakers. Patients (often referred to as ‘guests’) who had received care at Kimbilio Hospice, located along the serene Kipkaren river – Eldoret, gave their testimonials of the care and revived hope they had received. 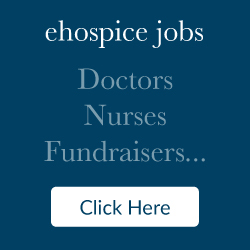 “I am grateful for the care and support received from Kimbilio Hospice. I came as a guest in 2011. I had no hope at all. 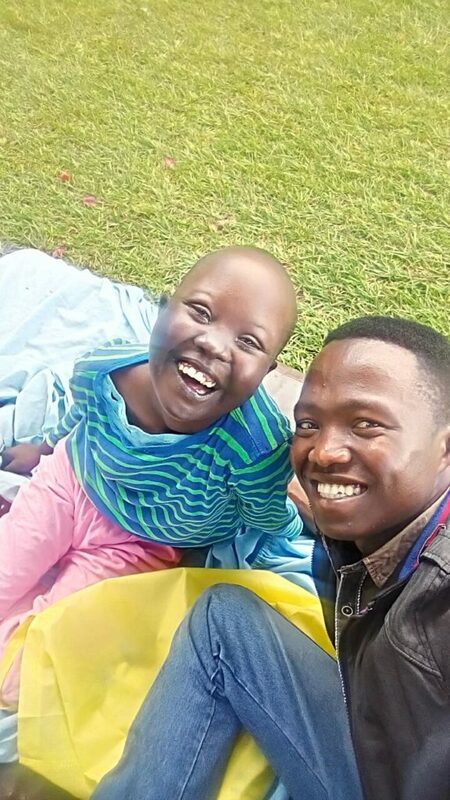 The love and care I received transformed my life completely,” shared Jacob from Kakamega County. Speaker after speaker who had had a chance of visiting Kimbilio Hospice marveled at the compassion with which the staff continued to show to the patients who received care at the hospice at any given time. The Governor quipped that such compassion should be replicated in all institutions of health care. He further thanked the directors and all who were part of the project for bringing the gift of Kimbilio Hospice to Kenya. Mrs. Julie McGowan Boit, Founder and Director of Kimbilio Hospice spoke on her vision of the center and was very grateful for the support (financial , emotional and spiritual) from all those who have helped realize this dream. Julie’s American (including her Father Pastor Dennis McGowan-Living Room International US Director) and Kenya families have been very supportive all throughout, sharing the same vision as she, supported by a very dedicated team working with her to ensure that palliative care is accessible to many in Kenya. Julie hopes that the New Kimbilio Care Centre will also provide a great learning opportunity for health Care professionals locally, regionally and even globally. In her speech, the Executive Director of KEHPCA – Dr. Zipporah Ali, commended the leadership of Kimbilio Hospice for expansion of services to the Kimbilio Care Centre. 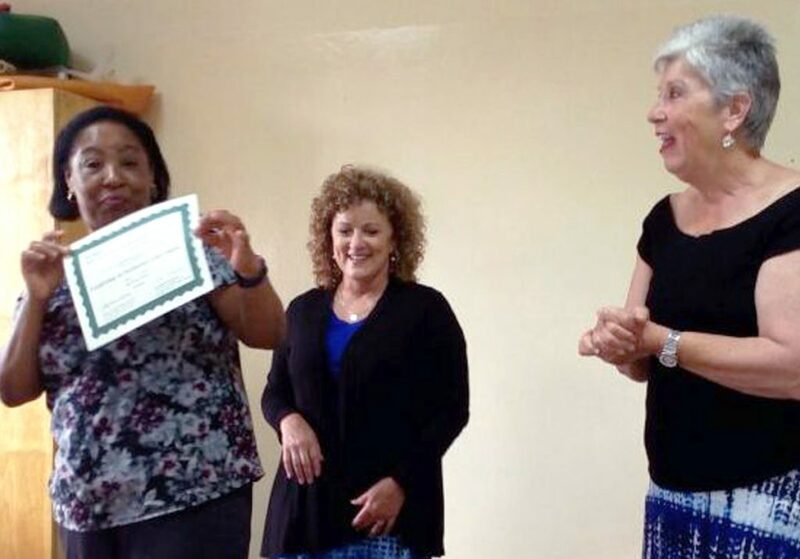 With a special mention, she thanked the Board in America and in Kenya, the churches in America who fundraised for the project, the team at Kimbilio which comprised of Bishop David Tarus, Alison Tarus, Juli McGowan, Dr. Brian Albright and the dedicated team members who offered medical and technical support to the patients. She mentioned that services offered at Kimbilio were not only beneficial to the people of Eldoret but also benefited people in far-flung regions and the country as a whole. She felt that there was need to make the Kimbilio Care Centre a Centre of excellence not only in Palliative Care provision but also as training institution for health care workers in the country. She further called on the community of Uasin Gishu to support the Care Centre financially and by offering voluntary services. As the event came to a close, the guests were invited for a tour of the facility and treated to a sumptuous lunch which was set under the trees at the garden. Kimbilio Hospice and Care Centre are places you would want to pay a visit, not only to seek medical care but to meet, greet and experience the serenity of the land, the hospitality of the staff and the unmatched compassionate care with which they treat the patients. The Kimbilio Community is a true example of the Bible Verse they often quote “Whatever you do, work at it with all your heart, as working for the Lord, not for men.” Colossians 3:23 – this truly defines their service.